Hi! I'm Diptoman Mukherjee, a game designer and programmer. I am currently working as a Technical Designer at Piranha Games on Mechwarrior 5: Mercenaries. I did my Masters degree in Digital Media from the Centre for Digital Media (a collaboration between UBC, SFU, Emily Carr and BCIT) in 2015-16. I graduated in 2015 with a Bachelors in Computer Science from IIEST, Shibpur. I have been interested in video game development since 2004, ever since I stumbled across the software Game Maker. From making Pong clones back then, game development gradually became my major hobby throughout school, and was one of my incentives to take up computer science as the major for my undergrads. 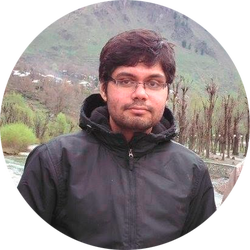 I became serious about games as a career in university, after a couple of major award wins propelled me into the national game development scene in India. As I gradually became familiar with the local industry and formed my own team (across the nation) to develop games in my spare time, my interest gradually expanded from the technical aspects to the design side of games as well. On the design side, I'm very keen on using various game design principles to come up with new ideas and gameplay elements. On the technical side, I like to quickly prototype and test out those elements (one reason I'm a major fan of game jams). A Book of Lenses and The Design Of Everyday Things were two books, that I must admit, began shifting my perspective of game design as something that's cursory to my interests to something that I want to try as well. With that in mind, I landed an internship as a game designer at Zynga India during my undergrad, which was my first formal foray into professional game design. All this eventually shaped my decision to come to Canada for my Masters, to get a formal education on the game design aspects and agile methodologies, while still being rooted in my technical background and continuing to program to my heart's content. I've been lucky enough to be able to pursue both in my current role as a technical designer as well. I like playing a variety of games to help give me perspective on different kinds of design - from obscure indie titles to mainstream AAA titles - from strategy games to action games to metroidvanias and everything in between. When I'm not obsessing over games, I like drawing, composing, watching anime (and a lot of TV shows in general), and reading books (particularly non-fiction). You can contact me at dmsdomain@gmail.com or view my CV/resume here.